Here at GetCRM, we’re interested in offering unbiased opinions on the huge list of CRM software represented on our site. There are tons of providers that aim to help businesses and organizations of all fields and sizes — many of those have certain strengths and weaknesses. Few can say they cover all grounds effectively. Freshworks is one of those CRM providers that actually does it all. Are they perfect? Of course not, but they acknowledge their weaknesses and accept constructive criticism to continue to improve and remain a leader in the CRM software industry for SMBs. They have multiple products for sales, marketing, IT, call center, and support teams interested in improving the overall customer experience while optimizing the user experience simultaneously. They’re a cloud-based CRM software as well, which means their software can be accessed on a global scale, their software is much cheaper to operate than on-premise solutions, and their software is easier to integrate between the products they offer. Recently, Girish Mathrubootham, CEO of Freshworks, sat down for an interview with ProfitWell’s podcast Protect the Hustle. In it, they discuss the recent success Freshworks has had as a multi-product, CRM software provider. We listened to the interview numerous times and determined Freshworks is, in fact, doing something special in the SMB space. Let’s take a look at what separates them in such a competitive industry. Freshworks has ten products listed on their website. Instead of going into great detail on what each one does, we’re going to just give brief summaries on what they are and what they do. 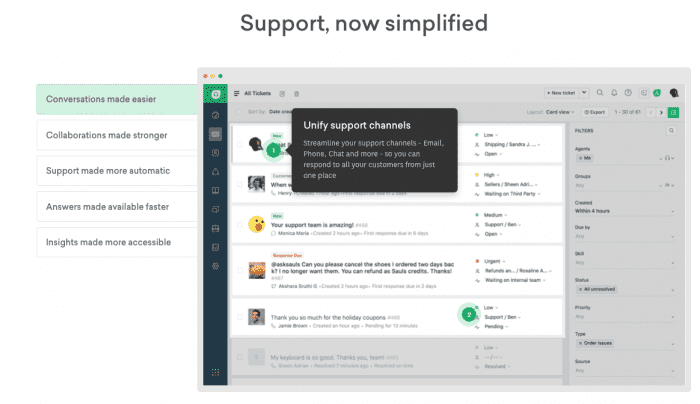 Freshdesk is Freshworks’ helpdesk ticketing software. It has powerful automations such as ticket management, ticket assignment, follow-ups, and prioritization. They offer support teams powerful reporting features that show them how to optimize their strategies. They even offer self-service options for customers who are more inclined to handle problems themselves. This helps ensure agents are only dealing with complex issues that require their attention. Freshservice is Freshworks’ IT service desk software. 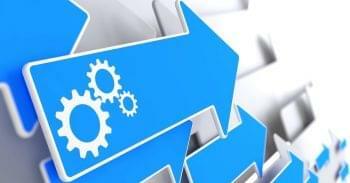 Freshservice is used primarily for IT and HR teams interested in getting a better handle on incident, SLA, task, inventory, and knowledge management through the use of automations, multi-channel support, and team collaboration features. They also offer a powerful dashboard to users who wish to focus on multiple projects at once. These dashboards also offer powerful visualization tools to make the data easier to interpret for users. Freshcaller is Freshworks’ call center solution. Freshcaller is advertised for small businesses interested in optimizing their call center with powerful automations, vanity numbers, global numbers, voicemail, multi-level IVR, a call center mobile app, a dashboard, and call metrics. All of this helps small teams to stay relevant by offering a powerful customer and user experience. This allows agents and customers to focus on what matters most, which is always the situation at hand and not the hardware in place. Freshmarketer is Freshworks’ marketing automation software solution. Freshmarketer is a powerful, all-in-one solution for optimizing conversions while gathering qualified leads. Users can take advantage of heat maps, A/B testing, and other powerful features to see how leads interact with your website in order to optimize the buyer’s journey from start to finish. 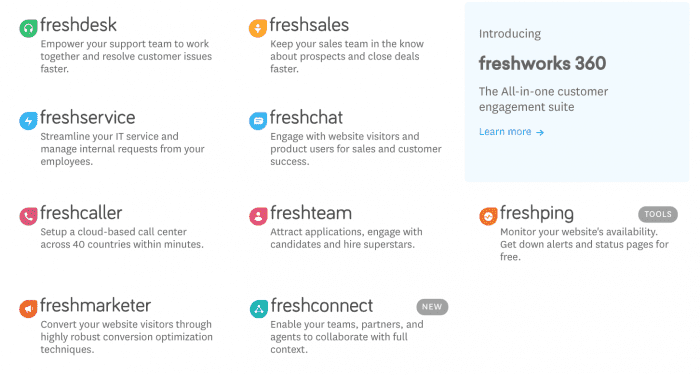 Freshsales is Freshworks’ sales automation software. Freshsales is a powerful provider and also happens to be our best-rated sales automation software solution. With Freshsales, your team can take advantage of AI-based lead scoring, built-in phone, email, automations, and reporting and analytics. Freshchat is Freshworks’ customer messaging solution. This is a solution geared towards making conversations with leads and customers much easier. This is also one of the solutions Freshworks offers its customers that’s built specifically to use with other products like Freshsales and Freshmarketer. Users can live chat with their customers as well as set up chatbots to automate the entire process. Freshteam is Freshworks’ HR management software. This software is focused on recruiting, which plays a significant role in the long-term success of any business. Freshteam aims to make recruiting easy by offering collaboration tools for the hiring team, a candidate database, and personalized engagement features. Freshconnect is a Freshworks’ new collaboration software. Instead of going back and forth using other software like Slack or Asana, users can communicate with each other directly in Freshconnect. It offers powerful integrations so you or your team won’t have to leave whatever Freshworks software you’re already using. If you want to use Slack, Freshconnect will make finding key discussions easier. Freshping is Freshworks’ performance monitoring software. This allows teams to monitor up to fifty URLs, receive multi-channel notifications, receive instant downtime alerts, and more. This is particularly useful for developers and webmasters with multiple projects in hand who can’t get to all of them at once. However, Freshping makes it easier to manage everything. Freshworks 360 is Freshworks’ all-in-one, customer engagement suite. With Freshworks 360, users can integrate their sales, marketing, and support software together to ensure everything is in one, easy-to-access place, eliminating the need to go back and forth. It also incorporates omni-channel in its solution, which ensures every channel is getting equal attention. Freshworks 360 also completely aligns with what the Freshworks mission is. With omni-channel engagement, customers can interact with businesses on whatever channel fits them best. With easy customer experience customization, businesses can use Freshworks 360 to improve the user experience. When agents and customers can interact in ways that make the two sides comfortable, the experience tends to improve dramatically. Throughout the Protect the Hustle podcast, Mathrubootham breaks down the significance of a multi-product company. He correctly points out that all the top companies in the CRM software industry are multiproduct. It’s possible to get by offering only a single product, but if you’re aiming to compete with the top competitors, you have to be selling more than one product. What Freshworks does to make themselves stand out from the competition is by targeting the global SMB audience and by offering powerful integrations between all the products. 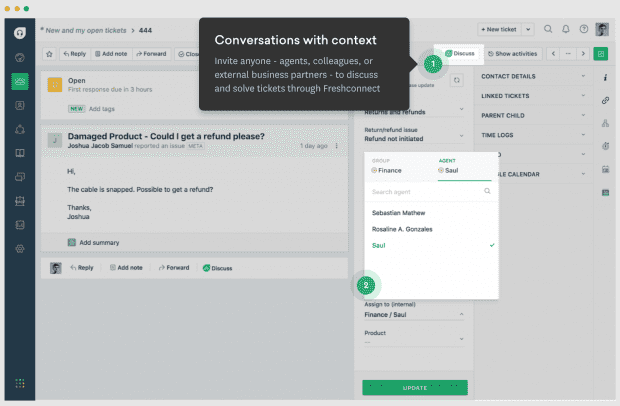 For example, Freshchat can be used with Freshsales and Freshmarketer to optimize communication between both teams without either team having to leave their Freshworks software. The constant back and forth between software often leads to mistakes and frustration for users who are always looking and expecting a more seamless user experience. Mathrutbootham found that Freshworks customers were open to the possibility of buying more software that integrated with what they already owned. This is also a good business strategy for Freshworks because finding new customers is typically more costly than targeting your current ones. Freshworks finds success with this strategy by using the ultra-competitive CRM software field to its advantage. There are tons of options to choose from; however, instead of potentially losing a current customer to the competition, they have a product ready to go that’s fully integratable and already familiar. This is key because SMBs often have their hands full with a million different tasks. The last thing a business owner needs is to have to bounce back and forth between software, especially when CRM software might not be their strong suit. Combining products into one unified experience is the direction the top providers are going in, and Freshworks aims to offer the same experience to the global SMB market. Throughout the interview, there were a number of quotes that jumped out to us — not because Freshworks is doing something groundbreaking and industry-changing, but because they’re putting their money where their mouth is when it comes to stressing the significance of prioritizing the customer experience. We simply want to highlight some quotes that jumped out to us so you can see what Freshworks is doing and apply it to your own business strategies. Let’s dive in. This is significant because customers are starting to differentiate businesses from one another based on the experience they receive rather than the products those businesses sell. In an extremely competitive industry such as cloud CRM software, you’re not going to win customers over because your CRM software offers the latest technology like AI. We can name a million other providers that are using AI in their software. What’s going to sell is the experience of using AI in the platform. There are a number of people who don’t care about the latest tech news and updates because they still have a business to operate. Even if every business owner was a techie and couldn’t wait to get their hands on the latest CRM software with AI-powered reports and automations, it will be meaningless if the platform design and experience are poor and make using the software more difficult. Freshworks offers a simple design for its dashboard that’s easy to access and easy to customize to the user’s liking, which is what business owners need. They need the technology to work for them. If it doesn’t, they’ll look elsewhere until they find a provider that offers the experience they’re looking for. This point in the interview when Girish was speaking about Chennai also jumped out to us for a couple of reasons. Chennai is a big city in India, but it’s not a cultural center by any means. What it does offer, however, is a dedicated group of developers interested in the long-term vision of Freshworks. Focusing on the future is ingrained in the culture of the city. Planning for the future is a great way to keep your business in business as well. That means you’re not just trying to do what’s best right now. You’re adjusting to the customer’s needs as the times change, which they always do. There will always be another new technology ready to sweep everyone off their feet; there will always be a company lying in wait for their moment to take over an industry; there will also always be leaders like Salesforce who will remain leaders in the industry because they’re investing in the future. They’re putting themselves in positions to define the market, and all they’re doing is paying attention to what they’re customers want and expect. Freshworks is based in Chennai, but they use the cloud CRM software industry to their advantage by paying close attention to what their customers want. They go even further by ensuring the team is aware of and aligned with that long-term goal. Freshworks could exist in other countries around the world, but Mathrubootham is from Chennai, and he understands how developers from the city operate. He can connect with his team in ways he wouldn’t be able to elsewhere. It’s not to say he isn’t capable of it. We’re simply saying that understanding who your team is and how they operate while being open to constructive criticism and advice from your team is key to determining what your goals should be and what the best approach to meeting your customers’ demands is. Focusing on the long-term with a team from a city whose culture is all about planning for the future continues to help make Freshworks a unique success in this competitive industry. Like we said in the beginning, we’re all about offering unbiased opinions on CRM software providers. If we like what we’re seeing, we’re going to highlight it. If we think there’s room for improvement, we’re ready for the calls from the provider asking to explain why we were so critical. In this case, Freshworks is doing something right, and we’re not the only ones with this mindset. 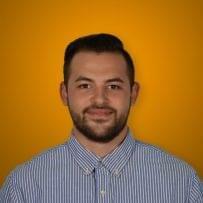 ProfitWell sees the success Freshworks has experienced so far and wanted to understand why exactly. We wanted to know the same thing. After listening to their podcast, we feel that Freshworks is doing something right that can’t be ignored in the CRM industry. Another great thing is that their mission is applicable to the companies they offer their services to. If you’re a business owner and you’re wondering what you need to do differently to stand out in an ultra-competitive field, look at what Freshworks is doing and start to align your business strategies with your customer base to ensure the customer experience is always the number one priority.